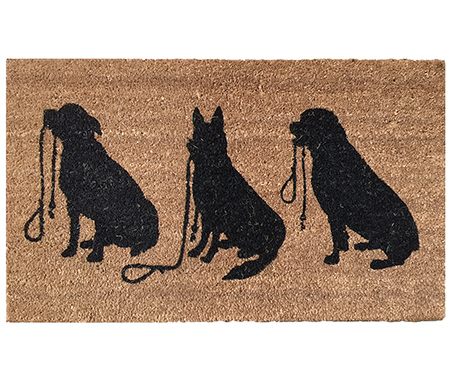 A slimline doormat of natural coir on a PVC backing, this features a silhouette of three dogs holding their leads and waiting for a walk. Printed in black on a coir background. This is a low profile regular doormat that measures 75cm x 45cm and approx 1.5cm thick.